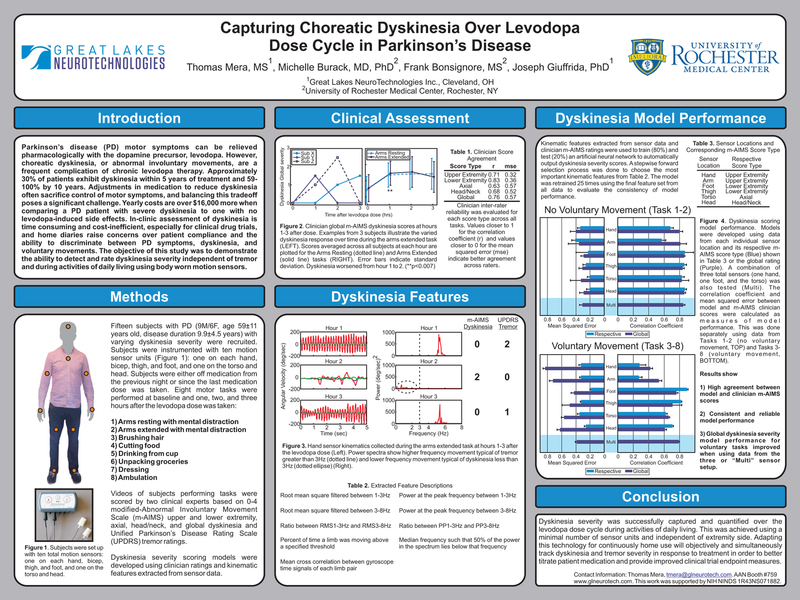 Cleveland, OH – August 15, 2011 – Great Lakes NeuroTechnologies’ KinetiSense motion sensor technology will be used in a clinical study to capture and quantify dyskinesias (involuntary, irregular movements) caused by Parkinson’s disease (PD) medication. PD motor symptoms including tremor and bradykinesia are typically treated with levodopa. Cleveland, OH – August 15, 2011 – Great Lakes NeuroTechnologies’ KinetiSense motion sensor technology was used in a clinical study to capture and quantify the effect of Deep Brain Stimulation (DBS) on gait and balance impairment in Parkinson’s disease (PD).